You might wonder -- "Why every Nigerian?" Well, the answer is in tip number 5. Also, if you would like to join our exclusive community where we share more business and career improving tips from the perspective of business intelligence and Microsoft Excel then this is your great opportunity. All you have to do is to like our Facebook page, www.facebook.com/urbizedge, and follow our LinkedIn company page, www.linkedin.com/company/urbizedge That way you'll get some of our exclusive tips and business intelligence information. Ever wanted to go from the top of a 1000 entries long list to the last entry? I keep seeing people scrolling down using the down key or the hit/miss method of using the scroll bar on the right to get to the last record. Well there is a straightforward and easy way to go to the last record in any list from anywhere you are in the list. It is by pressing CTRL and DOWN at the same time. CTRL + DOWN. It takes you to the last record in the list. The great part is that you can do CTRL + UP to go back up. CTRL + LEFT to go to the leftmost record. And CTRL + RIGHT to go to the rightmost record. This is similar to the tip 1. What if you didn't just want to jump to the last record but also wanted to select all the records from the top to the bottom (maybe for the purpose of copying them)? It's also easy. 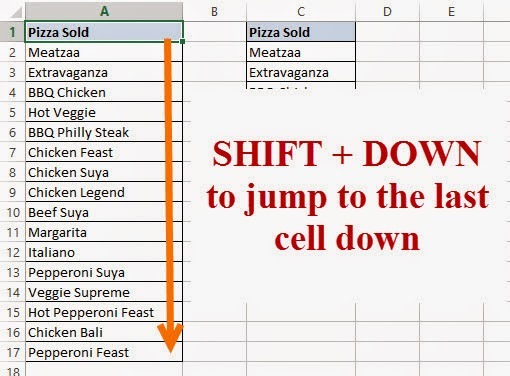 Do CTRL + SHIFT + DOWN to select everything down to the last record in the list. And like in the tip 1, it also works for selecting to the LEFT or RIGHT or UP. Ever wanted to insert a row in an already existing list? Maybe you omitted an entry while typing out the list and now that you've remembered you want to put the record in the very row position it originally should have been. This also is very easy. You simply right click on the row where the record should have been and select insert. 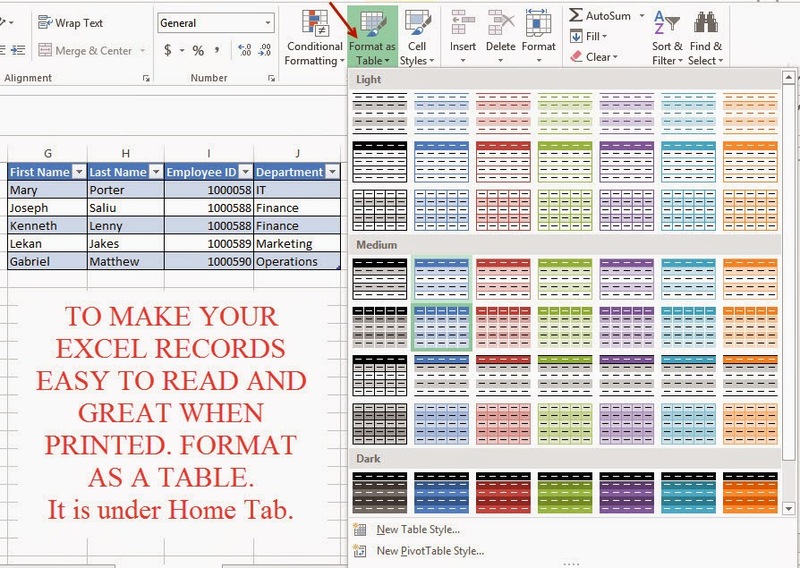 This will shift the record on that row down and give you a new blank row to put the record you omitted. What if it was an entire field you omitted? Somehow you omitted June in typing out the months for the report. And you would like to put June in the field position it should be, right after May, the current spot July is in. How do you do that? 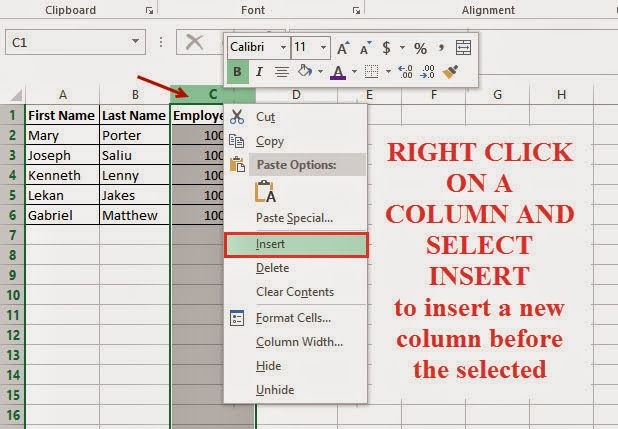 You simply right click on the column where you want to put the missing field (July, if the case above is the issue) and select insert. It's time we should always show our patriotism in all we do. When you do a sales or expenses report, don't just leave the numbers without a currency or put $. You can and should put the naira sign. 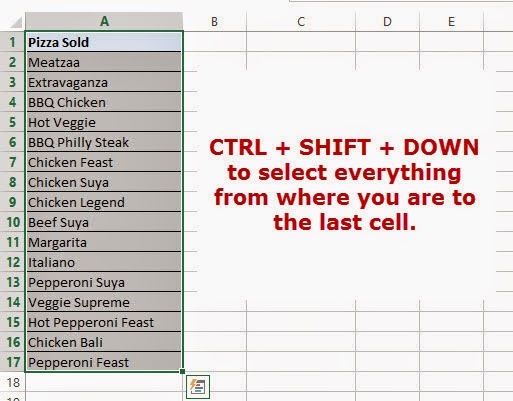 And it's amazingly easy if you have the Excel 2013 or Excel 2016. If you use the Excel 2007 or Excel 2010 you should sent me a private mail so I'll forward you the complicated way to get it done in them. Just select the cells with the sales/expenses figures, right click and click on Format Cells. In the Numbers tab and Currency selection, pick the Naira sign. Make your report easier to read and great looking when printed out. Format as Table. And it is very easy. Just select the report table, go to the Home tab, click on Format as Table (it is in the middle of the menu under Home tab). 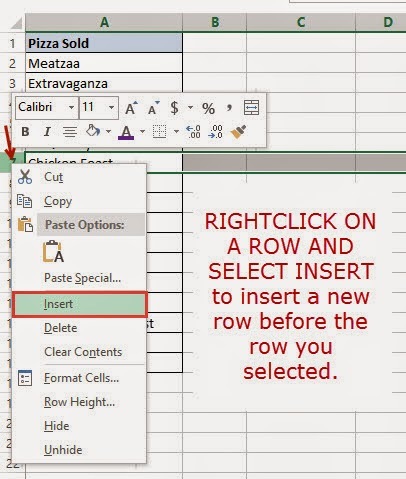 You will find it funny or maddeningly annoying (depending on how serious what you are working on is) that the delete key in Excel doesn't delete everything. 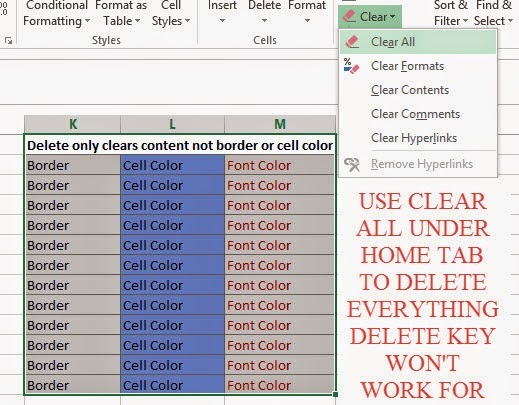 It only deletes the cell content and not it's borders and cell fill color. So how do you truly delete everything in a cell, color and border inclusive? Also very easy. Just go to the Home tab and in the menu below at the right side, click on Clear and Clear All. 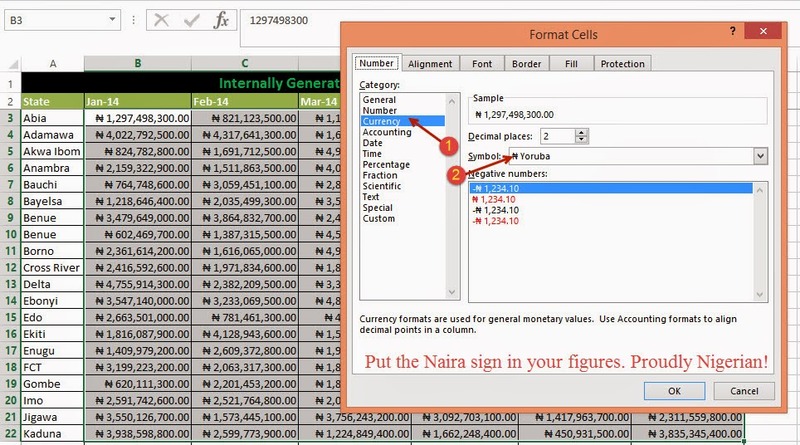 And those are the 7 useful Excel tips every Nigerian should know. Don't forget to join our exclusive community: www.facebook.com/urbizedge and www.linkedin.com/company/urbizedge!